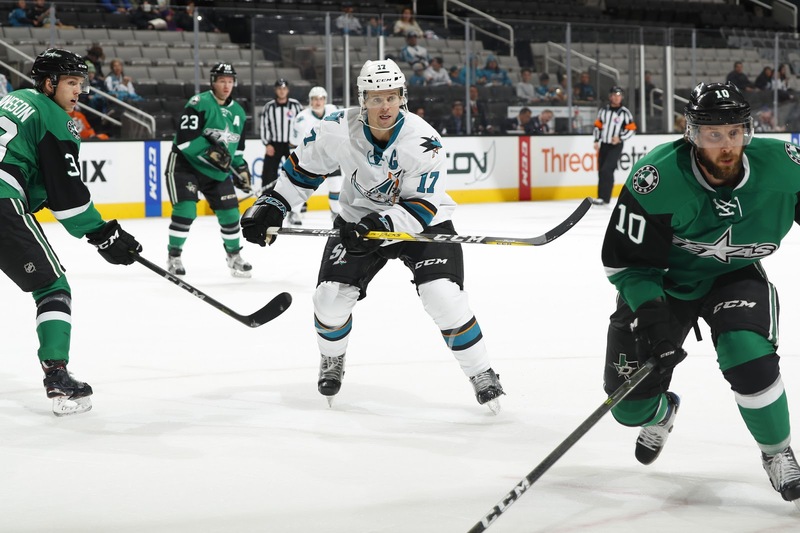 The West Coast trip continues for the Texas Stars in their Friday night tilt against the Pacific division-leading San Jose Barracuda. The two teams last squared off on October 27th in Cedar Park as the Barracuda administered a decisive 6-1 beatdown on the Stars. Since then, the Stars have really rounded into form and turned into a team that can score nearly at will on the power play. They have especially been dominant at home but will be tested in the coming weeks as 18 of their next 27 will be played away from Cedar Park. Their play on the road so far this season has left something to be desired as they have gone 6-9-2-1. The Barracuda are the class of the Pacific division on the strength of two capable goaltenders. The Stars remember well Antoine Bibeau (.918 SP) from last season, and now rookie Josef Korenar (.914 SP) has joined the fold. The Barracuda have the fourth ranked penalty kill but are near the bottom of the league on the power play. It will be an interesting match-up to watch if the Stars are given chances on the man advantage. The puck drops at 9:00 PM CST.